Finn Balor revealed the names of his two new partners in crime —Karl Anderson and Luke Gallows. 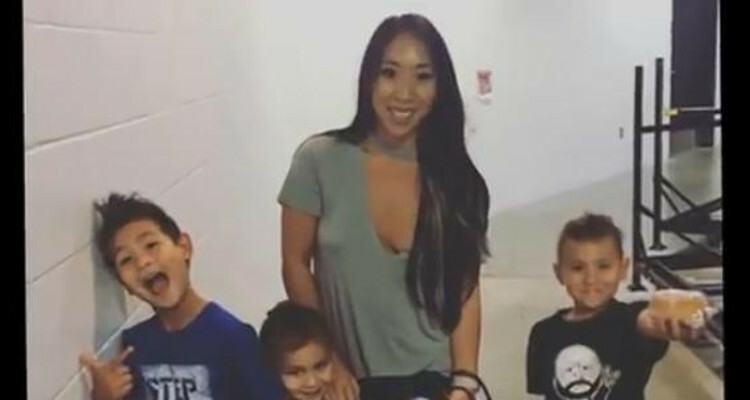 This trio is “Too Sweet” to be true, and after the WWE announcement, fans are now curious about Karl Anderson’s “hot Asian” wife. If you wanted to take a look at WWE star Karl Anderson’s wife online, it won’t be easy. He always refers to his better half as his “hot Asian wife,” and she plays along! After much digging around and finding her Instagram page dubbed “Strawtini,” we found that she goes by simply Tini. Here’s more about Karl Anderson’s wife and family. Who is Karl Anderson Married To? Karl “The Machine Gun” Anderson is known for his tag teams and his New Japan Pro-Wrestling success. He constantly calls Tini his “hot Asian wife,” leaving many fans curious about her. Details about her exact name are unconfirmed, but it is assumed that she is in her mid-30s and was born in the Philippines, but is of Vietnamese descent. Whether or not she has experience, Tini definitely has the look of a model! Together with Anderson, she has three sons: Cylus, Caedon, and the youngest, Cruz. Both parents show off their adorable kids on social media! “Strawtini” and Anderson welcomed Cruz in 2014, and the big happy family celebrated Christmas at their home in Ohio, wearing matching striped pajamas. Seriously, they couldn’t have looked cuter! She also has an Etsy shop, where she sells handmade items like wooden signs, wine glasses, character canvasses, and plates—all of which she hand paints and customizes. Tini has five sisters who look very much like her. They all love to hang out together and have frequent “girl’s nights.” They celebrated her mother’s 65th birthday last July, and it looks like there is only more happiness ahead for this huge loving family. Baking cookies with sisters ❤️?